When you're looking for the top rated digital cameras, there are a lot of things you need to take into consideration. While no review can address how any camera will stack up to your own unique comforts and requirements, there are a few key features that you should look for in any camera. When you learn more about some of the top rated digital cameras on the market today, you'll gain a more thorough understanding of why these features are so important. Point and shoot cameras are essentially the "entry level" of consumer-grade cameras. These are cameras that don't require you to mess with a lot of settings before you take a picture, and which will produce quality images with a minimum of effort or knowledge on your part. These cameras are best for taking photos at parties and social gatherings when you don't want to fumble with an expensive, technically-involved camera. Priced in the $300 range, the Lumix ZS20 is an excellent choice for people who want a simple camera that takes nice pictures quickly. The camera comes equipped with a GPS sensor that allows you to tag where you were when you took the photo. This is a feature that has social networking users in mind since it allows you to provide a more complete story with your picture. It comes with a built-in 12 MB memory, which can be expanded significantly with the use of larger SD cards. It also has a powerful 20x optical zoom, which means you can get close to your subjects without having to deal with the distortion caused by using digital zoom. All of this comes backed by a high sensitivity 14.1 MP MOS sensor that is among the best in its class. The SX260 is a great mixture of affordability and quality in the popular Canon line of PowerShot cameras. As a point and shoot, the controls and menus are all very intuitive and easy to figure out. As a camera by Canon, you can expect excellent image quality and an interesting array of features. It can shoot full HD video, comes equipped with Canon's proprietary image stabilization, offers a 20x optical zoom range, and it uses Canon's new Digic 5 processor. The Digic 5 is the successor to the Digic 4 processor found in most Canon DSLR cameras. The HD video mode shoots in 24p, which is excellent for capturing the "film look" that so many video makers are searching for. 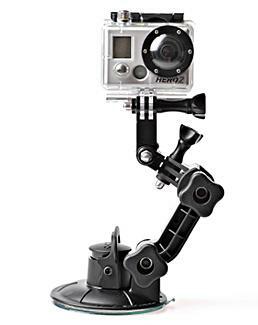 Action cameras are becoming all the rage with mountain bikers, surfers, snowboarders, and everyone else who enjoys taking cameras on a wild ride. Action cameras are purpose-built to be shock and weather resistant while providing top-quality video and photos. They are very small, so they can be mounted on almost anything with additional hardware. These cameras are designed to be taken anywhere to film just about anything you can imagine. The GoPro is often cited as the best action camera on the market, and as a result has become the standard-bearer of the action camera family. The GoPro HD Hero 2 can shoot in 1080p, 720p, 480p, and a special 4:3 aspect ratio HD mode for taller video. There are also photo burst, single shot, and continuous shooting modes to capture photos of your adventures. It is built to be shock resistant, cold resistant, and comes equipped with a waterproof housing and some simple mounts. You can buy special sets for various activities as well. You can choose from models geared toward driving, surfing, diving, and even mountain biking. The image quality is considered to be among the best in its class and its versatility is unparalleled. The Ion Air Pro is a relatively new camera when compared to older GoPro and Oregon Scientific camera models, but it is quickly becoming popular. This camera provides high-quality video and photos on par with what you'll find on the GoPro, but with a few little features that are different. One of the biggest differences is that you can't change the type of still photo shooting the camera will do while you're away from the computer. All of this is handled in the computer via the included USB cable and can't be changed in the field like with a GoPro. However, the quality you're getting with the images and video here is definitely on par with the GoPro. One feature that is great for bikers and others using the camera as a helmet-camera is that it sends vibration feedback when shooting modes are engaged. When shooting video, the camera will vibrate twice to say it's recording. When taking stills, it vibrates once. This is great because helmet camera users can't exactly see the LEDs on GoPros that indicate recording, and it helps assure them that they're capturing all the action. Bridge cameras are so-named because they act as a "bridge" between consumer and pro cameras. They do this by offering an exceptional level of control over your images without throwing the overwhelming features of a DSLR at you. You will get much more control over your images when using a bridge camera, but you won't have the option of changing lenses or using the full control offered by DSLRs. This makes bridge cameras excellent for people who are interested in taking excellent pictures but who aren't motivated enough to learn the functions of a DSLR. The Leica V-LUX 3 is a great camera from the storied and long-respected camera brand Leica. Leica has been around for a long time, and is most well-known as the manufacturer of some of the best range finder cameras in history. This model comes equipped with a Leica 24x optical zoom. 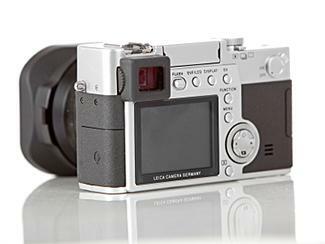 It uses a proprietary sensor that is unique to Leica digital camcorders, which is essentially a 12.1 MP CMOS. This camera has some creative filters and controls, but isn't necessarily geared toward those sorts of extras. Here, image quality is really what matters most whether you are shooting stills or beautiful full HD video. Users have the option of shooting in the proprietary RWL RAW format, providing exceptional versatility when editing photos. 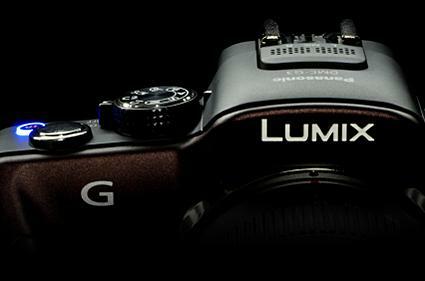 Panasonic bridge cameras like the DMC-FZ150K are popular for a number of different reasons. First, the price on these cameras is very attractive, with this specific model coming in at only $580. This price is especially attractive when you consider the fact that the camera comes with a high-quality lens built right into it. More expensive DSLR cameras will require you to spend at least this much money for just the body, with the lenses costing you hundreds more. One of the major benefits of this camera is the myriad shooting options it is capable of. It can shoot high-quality 3D images, it has a simple auto-control function that can produce excellent results, and it provides the user with an impressive amount of creative control. The Leica lens that it comes built with is of great quality, with Panasonic's new nano surface coating providing strong defense against glare and ghosting in your images. Mirrorless system cameras are very similar to DSLRs in many ways, but there are a few key differences. The term "mirrorless" refers to the mirrors found in DSLR cameras. The mirror in a DSLR is in front of the sensor and is used to reflect the image coming through the lens up to the viewfinder. This allows users to see the exact image coming through the lens, which is often referred to as TTL, or "through the lens" focusing and metering. Mirrorless cameras generally offer the same image quality as a DSLR and also allow you to change lenses on your camera. 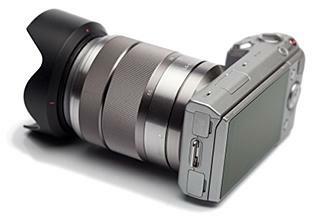 The NEX-5N bills itself as a "pocket-sized" DSLR. This is true in a number of respects, especially in terms of image quality, camera body size, and overall camera versatility. However, the lenses are fixed to the outside of the camera like a DSLR, which means the camera still has more bulk than your standard point and shoot. This Sony has a touch screen, a 16.1 MP CMOS sensor, loads of creative filters, full HD shooting mode in both 24p and 60p, and it even offers a 10 frames-per-second continuous shooting capability. The LCD screen tilts out to help you catch your images from any angle you need. The addition of the interchangeable lenses adds a whole new level of versatility to your shooting. The K-01 is one of the best low-light performers in the mirrorless system camera class. It has a large and very sensitive 16 MP APS-C sensor, silent shutter, is expandable to 25600 ISO, it shoots in RAW, is built out of a durable aluminum frame, and captures beautiful HD video in addition to taking high-quality pictures. You can mount all K-mount lenses to the body, meaning you won't have to invest in a huge array of new lenses to get quality pictures. This isn't the only feature that it comes with that mirrors what you find in a DSLR. It also comes with a hotshoe mount, picture profile shooting modes, and up to 6 frames-per-second continuous shooting. The Canon 1D Mark IV is found in the hands of many professional photographers as a "go-to" camera for fashion or sports. It uses a APS-H sensor that has a crop factor of 1.3x, so it's not a full frame camera. However, the speed, image quality, and overall durability of this camera make it well-worth the $5300 price tag. This camera has an extremely high ISO range, going from 100 all the way up to 102400. In low light, there are few cameras in the world that can outclass the 1D Mark IV. With shooting speeds up to 10 frames-per-second with a dedicated Digic 4 processor operating the auto focus system. The ISO ranges, speed, and durability of this camera make it a tough camera that can capture amazing images in an immensely diverse range of conditions. 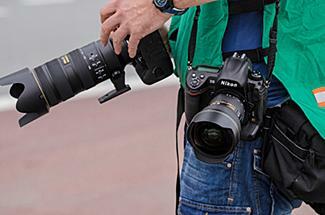 Nikon is often quoted as being the pinnacle of imaging innovation through its quality lenses and tough camera bodies. The D3X lives up to this reputation by providing exceptional and clean images up to high ISO levels. It has an FX format sensor, meaning it is full frame and will provide you with all-around fuller images as a result. The overall quality of those images is considered by some to be unmatched by any other camera. With the backing of natively-supported Nikon lenses and a 51 layer metering system, this quality jumps up even further. There are a lot of different types of cameras out there, but not all of them are suitable for you. If you are an advanced user you may find yourself bored or frustrated with even the most advanced point and shoot cameras. If you're a new user or one who doesn't care much to learn about ISO, apertures, or lenses, then you would probably be overwhelmed by a DSLR. The key is to think honestly about how you will use your camera and find one within that class you love. When you do this, you're more likely to enjoy your camera and come away with images you're happy with.